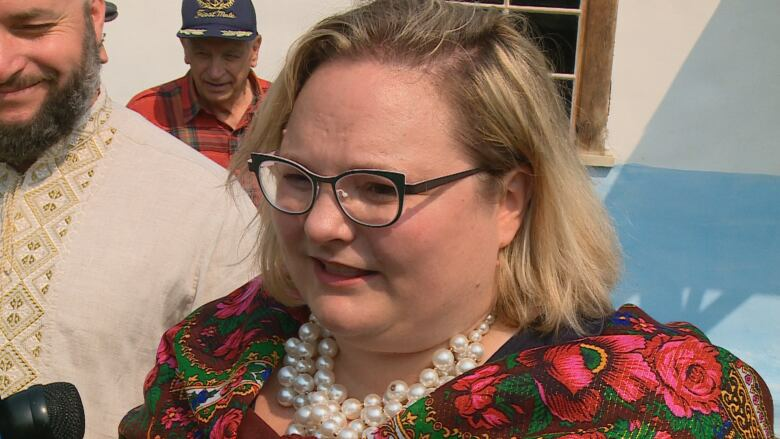 Expanding Alberta's Ukrainian Cultural Heritage Village shows how important cultural diversity is in this province and across Canada, says Alberta Deputy Premier Sarah Hoffman. Expanding Alberta's Ukrainian Cultural Heritage Village shows the importance of cultural diversity in this province and across Canada, says Alberta deputy premier Sarah Hoffman. 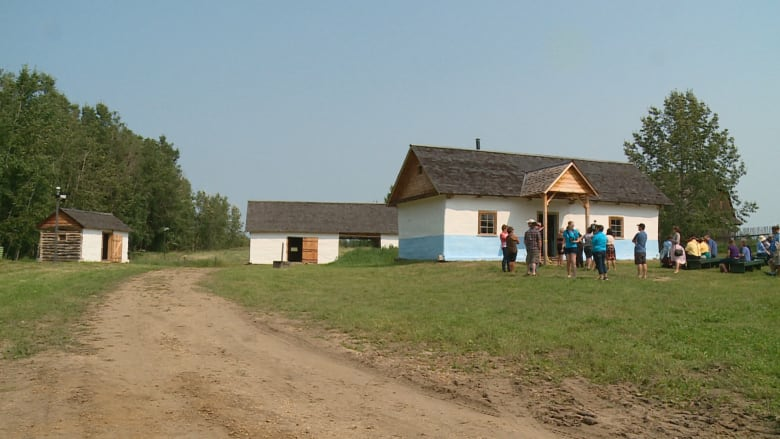 Hoffman was on site Sunday for the opening of a new homestead at the Ukrainian village, which includes a granary, chicken coop and two barns, permanently joining the living museum 50 kilometres east of Edmonton. One day after a white nationalist rally turned violent in Charlottesville, Virginia, Hoffman said it's important to embrace diverse cultures. "There's a lot of tension right now," she said. "Part of celebrating our history is acknowledging that there are newcomers coming today and ways that we can create an inclusive, respectful and welcoming Canada that benefits us all." 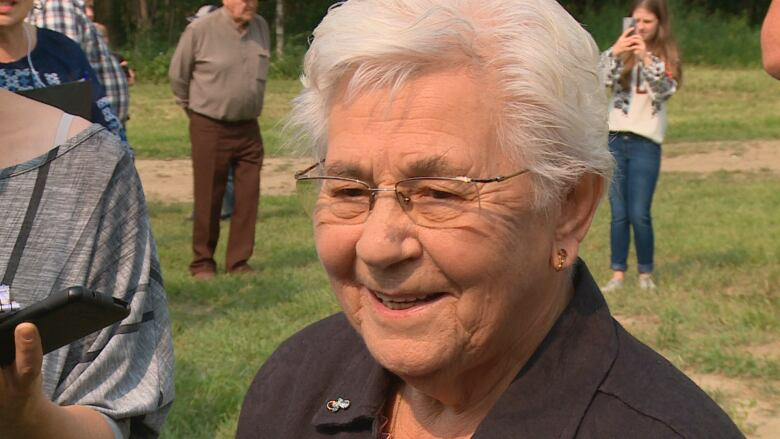 Hoffman said the Hlus family is an example of the impact Ukrainian pioneers had on Alberta's heritage as they settled in the area between 1892 and 1930. Andrew Hlus and his wife, Maria, built the tiny, two-room house showcased on Sunday out of logs and clay near Innisfree, in 1915. The couple went on to construct a larger home on their acreage, but with eight children, the family made use of both. Genia Saik, 88 — one of the younger Hlus children — remembers spending her summers in the two-room home. "There's a lot of memories," said Saik, who helped restore the building after it was moved to the Ukrainian village in 2014. As a girl, she helped plaster the house to preserve the logs. It was a task she found herself doing again in 2015. ​"That was emotional," she said. The house, modeled after those built in Ukraine around the same time, looks a little different than Saik remembers — for example, the bottom of the house used to be brown but now that it's refurbished, it's blue — but she's glad to see it's still standing. "It was going to be demolished," she said. "It got here. It made a home elsewhere." Saik, along with other Hlus descendants, participated in a special blessing of the homestead before it opened to tourists on Saturday. The Hlus chicken coop and barn were also relocated. The three buildings now sit with the Lakusta barn and granary. Both families have roots in an Austro-Hungarian region called Galicia. Pam Trishchuk, the head of education and interpretation at the Ukrainian village, said the legacy of the Galician settlers and of Ukrainians more broadly, remains strong in Alberta. "They came here specifically to embark on this difficult life of settling and farming — building new opportunities for their children and their grandchildren," she said. "The sense of just roll up your sleeves and get stuff done is still there in the Ukrainian community today." The opening of the Galician exhibit coincides with 125th anniversary of Ukrainian-Canadian settlement in Alberta. The Ukrainian village, provincially owned and operated, tells the story of their history. The province has deemed 2016-17 as the year of the Ukrainian-Canadian. Sept. 7 will be the first Ukrainian-Canadian Heritage Day.